Junkyard Decor &, Trippy Drinks: Park Street's Got A New Pub & We Can't Keep Calm! This new place in Park Street is where we are heading with our squad. Junkyard vibes with query decor and a surprising new cocktail menu, the Parking Lot serves up a whole new experience. Looking for a place to get your drinks on during happy hours? Well, who needs happy hours when the prices start from INR 99? They also have 12 signature cocktails served to you in unique ways (INR 250). Classic LIIT not getting you tipsy? Try their revamped, and more potent version - the Trippy LIIT (INR 600). 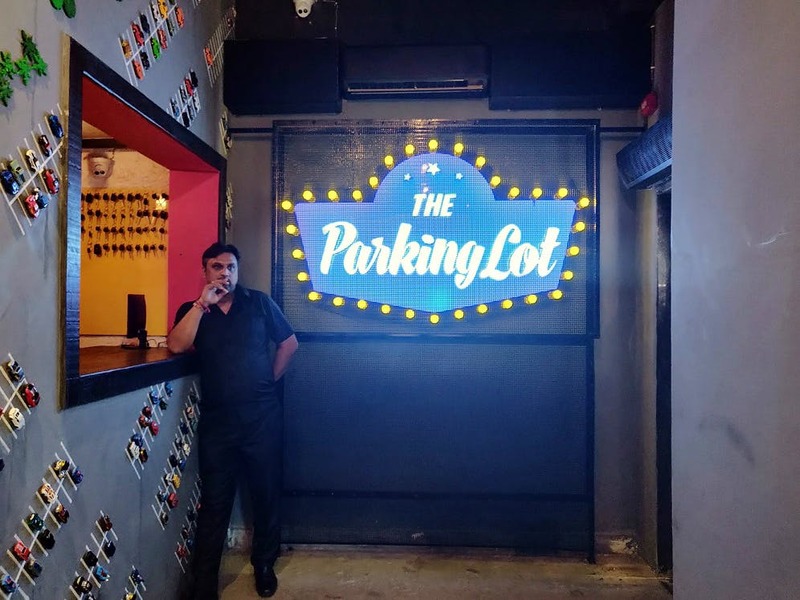 With graffiti-covered walls, and drinks served in quirky dishes, the Parking Lot will light up your Instagram feed! The menu is full of innovative comfort food - from Italian-style Dabba for the squad (INR 450) or dig into their decadent Motichoor Cheesecake with a crumbly motichoor crust that melts in your mouth (INR 300). We always dread splitting the bill when we are drunk, but their new band system has you covered - it keeps a track of everyone's drink orders - so not a single paisa goes unaccounted for. Tired of waiting for someone to get your beer, well the wait is over with their new beer vending machine. And there's lots to do in case you are looking for a fun night out - they have gaming consoles (INR 40/game), a punching bag machine (we can imagine some quirky games with this one), and more. The space is slightly small, so it may tend to get crowded very fast. They have valet parking. The rates depend on demand, so if you are lucky you might have to pay zero. If not, about INR 200.